Food will be available for purchase @ the reasonable price. Kids under 6 years of age are free. 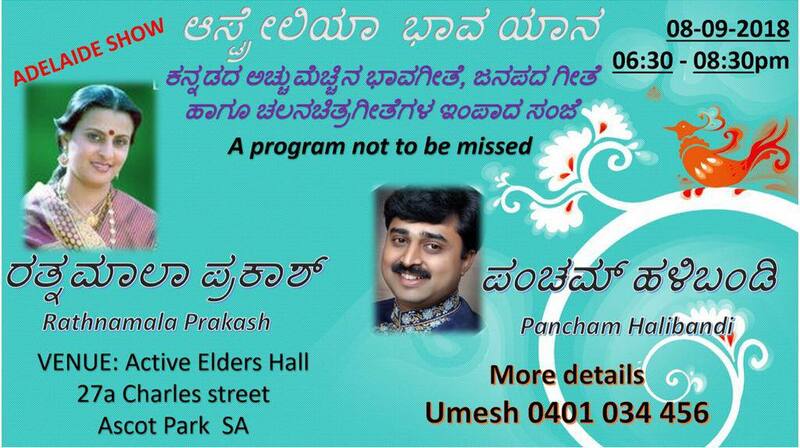 Premier Tickets Australia is proud to be the online ticketing partner for Australia Bhava Yaana on 8th September 2018.